Landlords in Brixton and Battersea should be financially prepared for all eventualities. You never know when an emergency might arise with one of your rental properties, whether that be boiler breakdown or an issue with the washing machine. Having the funds at your disposal to pay for a timely replacement is important, and in order to do this, a reserve fund is important. Why is a reserve fund so important? Let's say there's a sudden emergency with the plumbing or heating system. The cost of repair is not cheap, and you don't think you have the funds to cover the cost of repairs. If there is no hot water or no heating, your tenants may have to move out, which means you're then having to pay all the utility bills and mortgage bills out of your own pocket. If you have a reserve fund set up with ample funds to cover such an emergency, then everything will be more straightforward and infinitely less stressful (and expensive) for you. If the funds are there, you can organise for the repair work to be completed immediately. This will please your tenants, keep disruption of their lives to a minimum, and save you worry and expense. This, of course, is only one example of such an incident where a landlord might need to fall back on their reserve fund. There are many others. By having a reserve fund you'll be protecting your property portfolio and contributing to its success. What size should your reserve fund be? The answer to this question is not clear-cut as it depends on many factors individual to each landlord. For example, it will depend on the age and condition of each property within your portfolio. It will also depend on how many properties you have in your portfolio, whether or not you plan to expand your portfolio, what type of tenants you let to, and how regularly you experience void periods. Let's say your portfolio is largely made up of older properties or properties which generally require more maintenance work. In a newer property, there is still likely to be maintenance issues, especially if work hasn't been completed to a high standard, but generally speaking you can expect there to be more problems with an older property. You will need to bear this in mind when it comes to the size of your reserve fund. Some landlords experience more voids than others, for many reasons. If you rent to students, for example, you might have more voids as students tend to only rent during term-time. More voids mean you will need to cover more costs yourself instead of paying for those costs with the rent you receive. You may also need to spend money on maintenance work during a void period in preparation for a new tenant. The more funds at your disposal, the better. The larger your portfolio, the larger your reserve fund should be. The more properties you have, the more you accumulate in rental payments, allowing you to build a larger reserve fund to cover the potential costs of maintenance for any of your properties. Firstly, you need to decide whether or not to set up a separate reserve fund for each property. This may prove too complicated, and you might prefer to move a certain amount from the rent you receive each month for each property into one reserve fund. If you take a portion of the rent (what you can spare after bills etc) from each property every month and place it into a reserve fund, it won't take long to build up a decent-sized fund. The money can remain there and be called on if you experience a void period, or emergency repair or maintenance work is required. 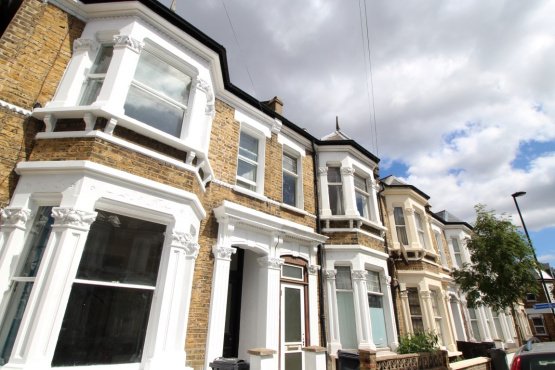 Landlords in Brixton and Battersea will simply be protecting the interests of their buy-to-let business by building up a reserve fund, and we recommend our landlords to do so.